Through donating, offering payroll deductions or hosting a United Way campaign at your workplace, you and your coworkers can make a positive impact on our community. When you make individual contributions to United Way, your donation is an investment in the future of our community. Because of your investments, United Way of Crow Wing and Cass Counties is able to support fiscally sound, innovative, local non-profit programs that accomplish a lot. United Way of Crow Wing and Southern Cass Counties provides local companies an opportunity to facilitate the donation process. Through the ease of payroll deductions, employees can make incremental donations from each paycheck which allows them to give back to their community without needing to write a larger check at the end of the year. It's easy, for both employers and employees. Respects your time and your environment. 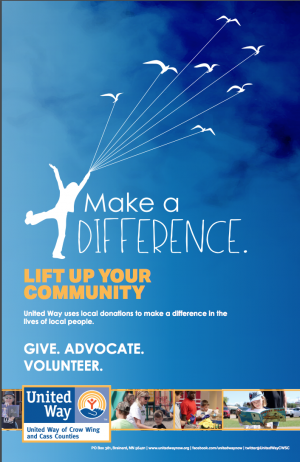 To learn more about how your company can help support United Way, please contact Judy at 218-829-2619 or at judyh@unitedwaynow.org. If you are interested in hosting a larger scale campaign with fun events to engage your employees, we’re happy to assist with that as well. 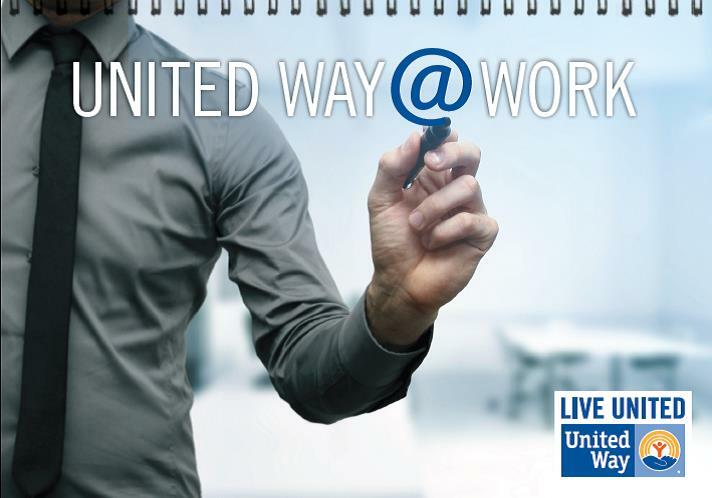 See our campaign idea book here for examples of additional activities: United Way Campaign Idea Book or download our calendar to find fun ways to inform, activate and support employees around each month's theme. Interested in coordinating a campaign at your workplace? Find more information here.